The Simple Education team have run many successful courses over the last five years, demystifying the use of coronary physiology in the cath lab for thousands of doctors from around the world. The team are now delighted to announce another course on the use of Intravascular ultrasound in PCI. Using a mixture of practical hands-on teaching, interactive learning aids, approachable tutors, internationally renowned lecturers and live interactive cases from cath labs in Europe, this course aims to take a new look at a key technology in the modern cath lab. Dr Andrew Sharp is a Consultant Interventional Cardiologist at the Royal Devon and Exeter Hospital and Honorary Senior Lecturer at the University of Exeter in South West England. He trained in Edinburgh, London and Milan, and was awarded a research MD for his work on the hypertensive heart whilst at Imperial College. He is current departmental lead in Exeter for cardiac cath labs, hypertension and cardiac research. He currently leads research studies in the areas of coronary physiology, pharmacological management of hypertension, renal denervation, intra-coronary imaging, complex PCI, aortic valve disease and pulmonary embolus. approach to therapy. He studied Medicine at University College London (UCL), achieving a First Class (Honours) Bachelor of Science degree in Medical Sciences & Neuroscience in 2000 and graduated with distinction (Surgery) in his final MBBS Examinations in 2003. He trained as a junior doctor on the Hammersmith and UCL medical rotations prior to being appointed as a Cardiology Specialist Registrar in the North West London region in April 2006 and a NIHR clinical Lecturer in 2013. One of the themes of his research is to determine the need for potent vasodilators when assessing coronary stenosis severity. Working with Dr Justin Davies, Dr Sen’s PhD introduced and developed a new technique of stenosis evaluation (the instantaneous wave-free ratio, iFR). In addition to being the Principal Investigator of several first in man physiological studies, he was also the Medical Director of the DEFINE FLAIR trial – a global multi-centre randomized study that has recently demonstrated the non-inferiority of iFR to FFR for revascularisation decision-making in over 2500 patients. Dr Rasha Al-Lamee is an Interventional Cardiologist at Imperial College Healthcare NHS Trust in London, UK. Dr Al-Lamee’s research interests are complex coronary intervention, coronary physiology and invasive intravascular assessment. She is currently leading the ORBITA trial as part of a PhD programme under the supervision of Dr Justin Davies and Professor Darrel Francis. At Imperial College she is actively involved in the development and recruitment for a number of multi-centre clinical trials. Dr Al-Lamee has over 30 peer-reviewed publications and has presented at international Cardiology conferences worldwide throughout her clinical career. She studied at the University of Oxford and University College London. She went onto complete her training as a junior doctor on the Barts and the London Medical rotation before being appointed as a Specialist Registrar on the North West London Cardiology rotation in 2006. Dr Al-Lamee has eleven years of Cardiology experience and completed three years of Interventional Fellowship training at Hammersmith Hospital in London. She also spent one year training as an Interventional Fellow under the supervision of Professor Antonio Colombo in Milan. She completed specialist training in Cardiology in 2013. Prof Javier Escaned is Consultant Interventional Cardiologist / Associate Professor and Head of Section, Cardiology Department, Hospital Clinico San Carlos (Madrid, Spain). He trained as a cardiologist the United Kingdom (Queen Elizabeth University Hospital, Birmingham and Walsgrave Hospital, Coventry) before moving to the Thoraxcenter / Rotterdam (The Netherlands), where he obtained his PhD degree in 1994. Author of more than 200 scientific articles, books and book chapters on different aspects of interventional cardiology, imaging and physiology, his latest contribution is the textbook “Coronary Stenosis. Imaging, Structure and Physiology”, co-edited with Patrick W Serruys. He is currently co-director or EuroPCR. Some of his additional interests are philosophy, education and music. Dr Mauro Echavarría Pinto is an interventional cardiologist and currently works at “ISSSTE“ General Hospital in Querétaro, México. He trained clinically in the National Institutes of Health, in Mexico City, and in Hospital Clínico San Carlos, in Madrid, Spain. He holds a MSc degree in Research Methodology, Design and Statistics in Health Sciences from the Autonomous University of Barcelona, Spain, and a PhD from the University of Amsterdam, The Netherlands, because of his work at the Cardiology Department of the Academic Medical Center in Amsterdam. He is an author of >50 peer-reviewed manuscripts mostly focused on the use of coronary physiology to guide the treatment of ischaemic heart disease. Dr Nieves Gonzalo was born in Madrid, Spain in 1976. In 2006 she got the degree of Cardiologist after her training in Clinico San Carlos University Hospital in Madrid. After finishing her specialization she moved to Rotterdam in The Netherlands for a research fellowship in the Thoraxcenter, Erasmus University with the team of Professor Patrick Serruys. There, she worked mainly in intracoronary imaging techniques and bioabsorbable stents. In 2010 she obtained her PhD with the thesis “Optical coherence tomography for the assessment of coronary atherosclerosis and vessel response after stent implantation”. Currently she works in the Interventional Cardiology Department at Clinico San Carlos University Hospital in Madrid. Prof Rajesh Kharbanda graduated BSc Medical Sciences (1st) in 1989, and MBChB from Edinburgh Medical School, Scotland in 1991. After training in Edinburgh and Glasgow, he commenced Specialist Cardiology Training in North West London in 1995. He completed his PhD in Clinical Cardiovascular Pharmacology at University College London in 2001. He was appointed British Heart Foundation Clinical Lecturer at the University of Cambridge 2001-2004, and completed clinical and academic training at the Addenbrooke's and Papworth Hospitals. He held an Interventional Fellowship at Toronto General Hospital, University of Toronto 2004-2005. He was appointed Consultant Interventional Cardiologist at the Royal Brompton and Harefield NHS Trust in 2006 and since 2007 at John Radcliffe Hospital, Oxford University Hospitals. His clinical practice is general cardiology with a focus on coronary intervention and TAVI. He and has developed an established clinical research programme, focussing on coronary physiology, ischemia-reperfusion injury and cardio-protection. His main areas of ongoing research are on how to further optimise PCI outcomes in ACS with a focus on the microcirculation assessed by coronary physiology. The Oxford BRC, and the Radcliffe Department of Medicine, University of Oxford support this work. He has published widely, including original research publications reviews and invited editorials. Prof Jacek Legutko graduated as a medical doctor in 1993 and has specialist degrees in both internal medicine and cardiology. His present appointments are as professor of medicine and interventional cardiologist at the Institute of Cardiology, Jagiellonian University Medical College, University Hospital in Krakow, Poland. Professor Legutko has been involved in more than 30 international clinical trials and has published more than 100 scientific papers in peer-reviewed medical journals. He is a member of several professional associations, including the European Society of Cardiology (ESC), Association for Percutaneous Cardiovascular Interventions of the European Society of Cardiology (EAPCI ESC), Polish Cardiac Society (PCS) and Association of Cardiovascular Interventions of the Polish Cardiac Society (ACVI PCS). Professor Legutko is Course Director of the Annual International Interventional Cardiology Workshop New Frontiers in Interventional Cardiology (NFIC) in Krakow. He has served as a life case operator and faculty member for several international meetings (TCT, EuroPCR, C3, WCCI, NFIC) and international preceptorships for FFR and IVUS. Professor Legutko received several awards, including the Polish Cardiac Society group award for innovations in cardiology in 2008, the Polish Cardiac Society group award for publication in 2007 and the 2013 Andreas Award for his personal impute on the development of interventional cardiology in Poland. Jurgen Ligthart has been working on intervention cardiology as a Cath lab technician since 1982, firstly to support the cardiologists in working with X-rays and positioning, or “how to get better angiograms and less X-ray dosage”. With the first IVUS performed in man in 1989, he was soon interested in invasive imaging and especially in the interpretation of the images or “what lies between the lumen and the media”. With IVUS initially used as research tool he was soon convinced that using IVUS (and later other modalities) can make a difference for patients. A standard acquisition protocol for all patients, no exceptions, was in his opinion a must but it took till 1997 before he implemented the standard acquisition protocol in Erasmus MC, which is still the standard of all invasive imaging procedures. With the standardisation he started to review, interpret and report IVUS procedures like a radiologist would do. In 2006, he developed for Erasmus MC the first 2 days interactive IVUS course for physicians, with live cases from the Cath lab. This formula is still used for all their invasive imaging courses (IVUS and OCT). In 2008, he developed an invasive imaging database in Erasmus MC that is still in use and growing, containing 4600 patients and 12000 pullbacks, available for viewing and reviewing at any time. In 2011, he started a part time one man consultancy company (LIMIC Medical) customers: Boston Scientific, Philips Volcano, St. Jude Medical, Terumo, InfraredX, ACIST, Abbott and congress and course-organising hospitals. Jurgen has had the great honour to work almost 35 years with Professor Patrick Serruys and also several years with Professor Carlo Di Mario, who was in Rotterdam his “partner in invasive imaging crime”. Dr Peter O’Kane qualified from Charing Cross and Westminster Medical School in 1995 and commenced specialty training in Cardiology as a research registrar at St Thomas’ Hospital in 1998. He was subsequently awarded an MD by the University of London for his Thesis on The Role of Nitric Oxide in Coronary Heart Disease. He trained in clinical cardiology on the South Thames NTN scheme working at Worthing Hospital, St Peter’s Hospital Chertsey, and St George’s Hospital London before completing a 2-year sub-specialization program in Interventional Cardiology at St Thomas’ supervised by Professor Simon Redwood. He was appointed as a Consultant Interventional Cardiologist at the Royal Bournemouth Hospital in July 2007. This is currently the UK’s highest volume non-surgical PCI centre and he annually performs more than 450 PCI cases including participation in a 24 hour primary PCI service. The case mix is complex particularly amongst the many elderly patients who have multi-vessel coronary disease, which includes extensively calcified lesions, bifurcations including left main stem disease and chronic total occlusions. He is committed to teaching and is a National Proctor for Rotational atherectomy and Optical Frequency Domain Imaging (OFDI), European proctor for Laser atherectomy and International proctor for the Axxess dedicated bifurcation stent and Absorb bioresorbable vascular scaffold implantation. He has trained Consultant colleagues from the UK, Europe, Asia and the US in these multiple adjunctive devices in PCI, intra-coronary imaging and for the implantation techniques and rationale for use of Axxess stents and Absorb scaffolds. He has published over 35 manuscripts in the last decade including original work, international collaboration and case studies. He has authored 10 book chapters with many related to Laser atherectomy. He is regularly invited as faculty to National and International meetings as a presenter and live case operator. He is a local principal Investigator for a number of National and International multi-centre clinical trials and is dedicated to patient recruitment to studies, which ultimately determine best practice guidelines and improve clinical outcome. Within the Directorate of Cardiology he has led numerous quality improvement programs and has achieved local clinical excellence award level 5. Juliet Nilsson is the Creative Director of Simple Education, the online cardiology educational platform aggregating content from key courses, global intuitions and leaders in the field of interventional cardiology. She received a Master’s in Art History with Honours from Edinburgh University before joining the Creative Development team at Lightyears, Stockholm in 1998. Juliet continued in creative development in Copenhagen for the trail blazing e-commerce bureau AHEAD, and then as International Creative Director for Caput Community Software Solutions. Following a role as Senior Consultant at Halcyon Gallery in London and Copenhagen, Juliet founded Vind & Våg Publishing House in 2013, a creative development agency. Juliet has published several books under her own imprint and is currently the founder & advisor to the Nordic Art Agency. 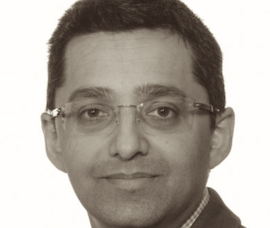 Prof Manesh Patel is the Chief of the Division of Cardiology and the Division of Clinical Pharmacology. Dr Patel previously served as the Director of Duke Cath Lab Research. His clinical interests include diagnostic and interventional coronary angiography, peripheral angiography and percutaneous intervention. He is involved in several clinical trials involving patients with vascular disease and in cardiac imaging. He is also a member of the American College of Cardiology Task Force for Appropriate use of Cardiovascular Procedures and is Chair of the American Heart Association Diagnostic and Interventional Cath Committee. Patel’s interest in cardiac imaging, quality of care, and cardiac devices is also evident in his research. His integration of these efforts into his roles at Duke was recognised in 2010 when he received the prestigious Duke Cardiology Fellowship Mentorship Award. In 2011, Dr Patel was named the endowed John Bush Simpson Assistant Professor of Cardiology. In 2013, Dr Patel took over the role of Director of Interventional Cardiology and the Cardiac Catheterization Laboratories for the Duke University Health System with the goal of integrating patient-centered invasive care across the health system. Dr Patel has published over 150 peer-reviewed articles in high impact journals, several reviews and over 20 editorials. Most recently, his articles in the Journal of the American College of Cardiology, Journal of the American Medical Association, and the New England Journal of Medicine garnered national attention from the scientific and lay press. Patel received his medical degree from Emory University School of Medicine in 1997. He completed his residency at Duke in 2000, followed by fellowships in cardiology and interventional cardiology at Duke University. Dr Ricardo Petraco is a NIHR Lecturer in Cardiology at Imperial College London, with a research interest in coronary physiology and interventional cardiology. He is also a Cardiology Specialist Registrar and Interventional Fellow at the Imperial College NHS Trust. After graduating in Brazil, he undertook his cardiology training in leading UK centres, including the Royal Brompton Hospital, St Mary’s Hospital and, currently, Hammersmith Hospital. He has been working with the coronary physiology group at Imperial since 2010 on the development of the novel instantaneous wave-Free Ratio (iFR). Dr Petraco’s work with iFR has led to the proposition of the Hybrid iFR-FFR approach and has established iFR’s close relationship with coronary flow reserve (CFR). Throughout his career, he has secured many research grants - CNPq grant for scientific initiation in Brazil (twice, 2000 and 2001); Imperial College Charity grant (2010); British Heart Foundation CRTF grant (2011) and Academy of Medical Sciences lecturer grant (2016) – and has published extensively in the field of coronary physiology. His interests in computer programming has led to the development of a software for automated analysis of coronary haemodynamics signals which is been used by many leading centres in the world. He has also proposed an algorithm for iFR calculation without the need for an ECG signal. His current research interests are on the development of methodologies to assess stenosis severity in situations of haemodynamic instability and on the understanding of how medical therapies modulate coronary resistance and flow. We know that sometimes IVUS appears difficult to understand and look forward to making things Simple for you.